There’s still time to make this cute Valentine! This sweet little owl is from the My Kinda Favorite Owl set by Unity Stamp Company. They also have several other adorable sets for different seasons using this cutie. You can find them here on the Unity site – just search for “owl”. I stamped the owl with Memento Tuxedo Black ink on white card stock, colored him with Copic Markers, and punched him out with a circle punch. Then I layered him to a scalloped circle punched from patterned paper. In the market for a set of circle dies? This would be a great set to add to your craft tools. This is also a great set of scalloped circle dies. I embossed a panel of white card stock with a heart embossing folder. (This one is discontinued, but here’s a similar one.) The embossed panel is attached to a white card. The sentiment, from the My Kinda Favorite Owl, is stamped with red ink on white card stock and punched with an oval punch. (Great set of oval dies here.) Both the sentiment and the owl image are attached to the card with foam tape. 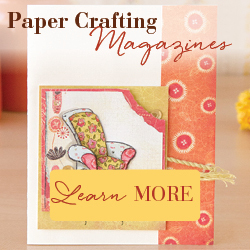 This is a simple layout that you can use to make a card for any occasion. Just change the focal image, sentiment, and embossing folder for a quick and easy birthday, thinking of you, or Christmas card! This is super cute and I like that the concept is versatile for more than one occasion.